Sanctions relief and increased economic activity with European companies will not change Iran’s pursuit of its own interests and curb its nuclear ambition, writes Giulio Terzi di Sant’Agata. Giulio Terzi di Sant’Agata is an advisory board member of United Against Nuclear Iran (UANI). He served as Italian minister for foreign affairs from 2011 to 2013. In her role as EU HR/VP, Federica Mogherini has been a strong advocate for saving the Joint Comprehensive Plan of Action (JCPOA), more commonly known as the Iran nuclear deal. In a speech last week, she said Europe remains committed to full implementation of the nuclear deal with Iran, which she claims is the best way for the EU to deal with the Iranian nuclear threat. Mogherini is optimistic about the possibilities for the West’s relationship with Iran. She is mistaken, however, in her assumptions about the behaviour of the Iranian regime. Iran has proved again and again that it will pursue its own interests in its neighbourhood above all other considerations. Sanctions relief and increased economic activity with European companies will not change this. On the contrary, it will only buttress and embolden a regime bent on regional hegemony and acquiring a nuclear arsenal. It was in recognition of Iran’s unfaltering efforts to become a hegemonic power in the Middle East through the threat of nuclear weapons that the partners to the agreement came together in the first place. The alarming prospect of Iran gaining nuclear capabilities shocked the world into action. JCPOA was supposed to make Iran gaining nuclear weapons an impossibility. It is precisely the failure of the deal to do this which led the US to withdraw last month. One of the main factors leading to the US’s withdrawal from the deal was the presence of ‘sunset clauses’. These clauses mean that restrictions on Iran’s uranium-enrichment and plutonium reprocessing will lift after ten to fifteen years, meaning Iran is free to expand its nuclear program at that time to an industrial scale. This could reduce its “breakout” time – the time needed to produce enough weapons-grade uranium for a nuclear weapon – to a matter of weeks, if not days. JCPOA frontloaded the benefits for Iran, in the form of sanctions relief. The prior US Administration also engaged in a European ‘roadshow’ of sorts to encourage European banks to initiate business in Iran. This attempt to deliver as much financial benefit to Iran at the outset of the agreement as possible, combined with the nature of the sunset clauses, meant there would be no mechanism for ensuring Iran’s long-term compliance once the clauses expired. In effect, the world was renting Iran compliance for a defined period of time. Iran could pocket benefits under the JCPOA without altering its intent to become a hegemonic power with nuclear weapons capability. This shows the hollowness in Mogherini’s claim that JCPOA ensures that Iran will never acquire a nuclear weapon. The deal patently fails to do this, and it is wishful thinking by the EU to think that it can. Providing Iran with economic benefit in the hopes that it will curb its nuclear ambitions is misguided. Front loading benefits without a long-term deterrent will not change the regime’s behaviour. It will instead provide Iran with the short-term economic support it needs to maintain domestic control, continue its dangerous adventurism and reach a position where it can brazenly pursue its nuclear ambitions once again. Iran has long sought to expand its influence throughout the Middle East and assume a hegemonic position in the region. Even in the years since the deal came into effect, this has not changed. Iran remains the largest state sponsor of terrorism in the world and continues to destabilise and interfere in countries in its neighbourhood such as Syria and Yemen. This has not changed because of JCPOA, and will not change by providing Iran with further economic benefits. Mogherini has said that the deal has been responsible for both preventing nuclear proliferation and avoiding a regional escalation. This is not borne out by reality. Iran has repeatedly proven itself to be a dangerous and irresponsible actor in its neighbourhood, and has shown no signs of changing its desire for nuclear weapons. Therefore, we need firm sanctions of the regime’s reckless behaviour in its neighbourhood, and solid long-term deterrents preventing the regime from ever acquiring nuclear capabilities. EU countries need to stand up to tyrants around the world, especially ones looking for nuclear weapons. 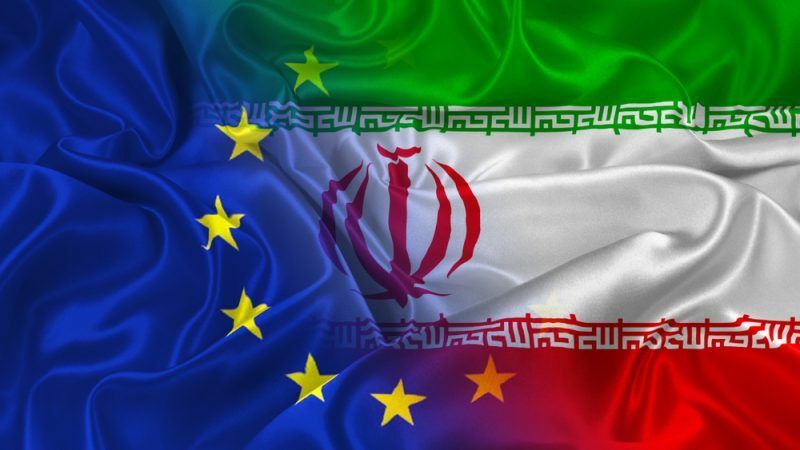 European economic activity will not reform the Iranian regime or moderate its agenda, but rather reaffirm and reinforce its rule at home and its support for terrorist activities abroad. Europe needs only look to its own history to see that appeasement is never the right way to handle despotic regimes. EU’s responsibility is to work for peace and not to increase tensions by taking sides in a region that’s always on the brink of war. You talk about tyrants and aggressiveness? Then how about the Saudis or the other Gulf States? How about the aggressive Israeli policy? The Iranian deal was a breakthrough in the process of building a more peaceful atmosphere in the region based on cooperation and some diplomacy. No deal makes the EU look like a weak player who cannot keep its promises (just like the US looks now). It also undermines the development of a more progressive stance in the country, whose middle class looks with hope towards the West. No deal would allow Iran to restart its nuclear programme immediately and not in 10 years. It is shortsighted to think that the country and its governance will be the same in 10 years as it is now.